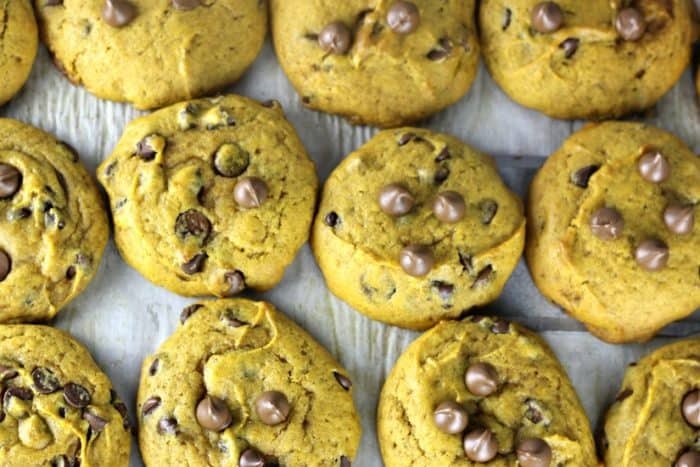 Everyone’s been begging for these Super Soft Jumbo Pumpkin Chocolate Chip Cookies! It’s no wonder!! 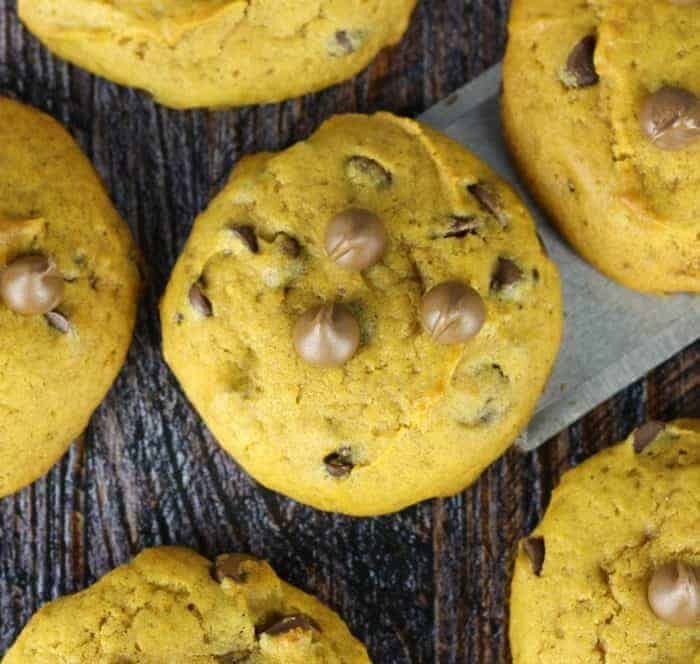 They are super soft, super delicious cake-like pumpkin chocolate chip cookies and they are super duper for every occasion! Did I mention they are jumbo sized? Haha..Yes I did! One batch makes 30 Jumbo Cookies. I love to give these jumbo gems away to friends and family and the smiles I get is totally worth the effort. They are easy to make, so that makes the effort even better right? 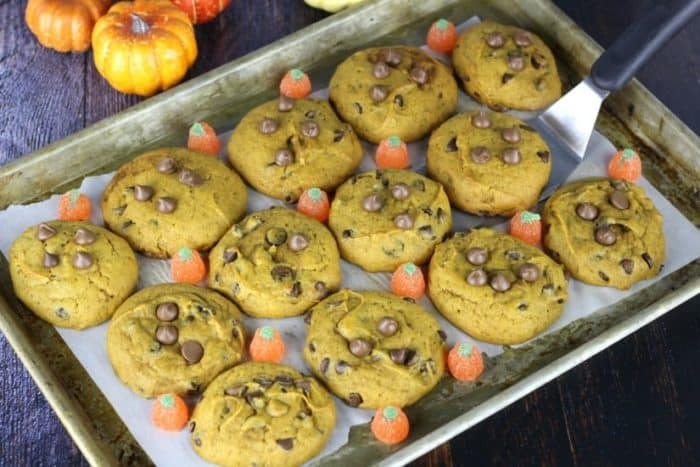 I remember we always loved making pumpkin cookies during the holiday seasons when we were young and throughout the years. There’s just something nostalgic about baking and devouring pumpkin cookies, am I right? Such fun until you eat too many! Bite your tongue! Can we ever eat too many? 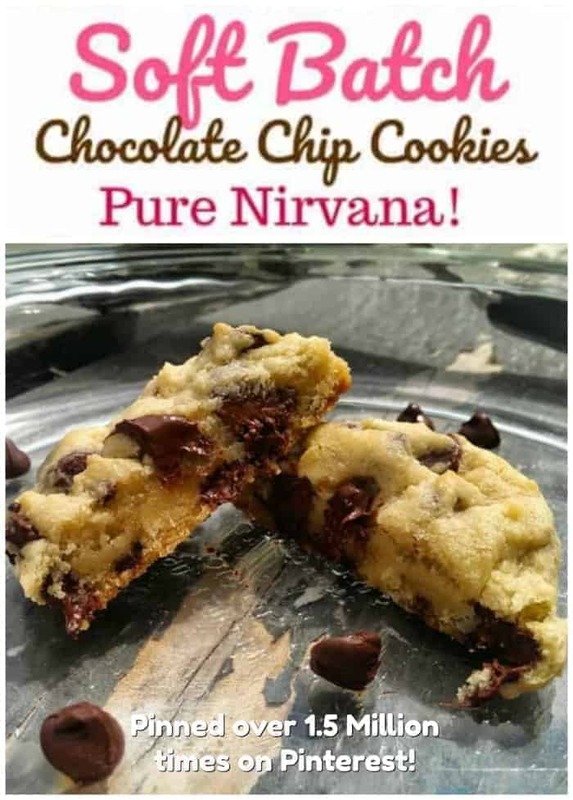 My favorite way to make these is with Zulka Morena® Pure Cane Sugar and it’s probably my favorite sugar to use in baked goods as well. 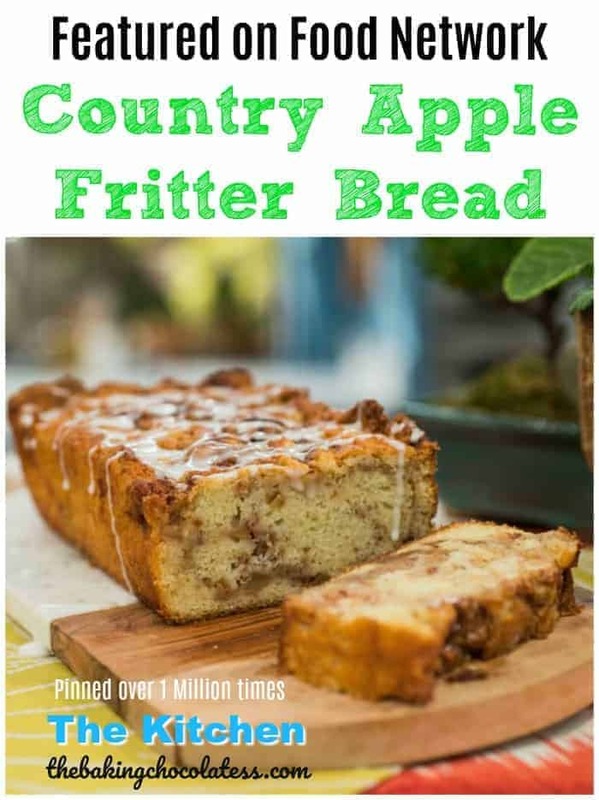 It just seems like magic happens to make them extra delicious and super soft when I use it. You really can tell the difference! Zulka Morena® Sugar is an all-natural, unrefined and non-GMO pure cane sugar that is made by squeezing and evaporating the juice from freshly harvested sugar cane. The result is a golden sweet crystal that tastes like biting into fresh cane sugar. I usually buy it at ALDI, but I’m sure other stores have it as well. I’ve had them with both sugars, so I know! These cookies here were made with granulated sugar. The Zulka sugar makes them a darker, richer color, so give them a try and see which sugar you like best! 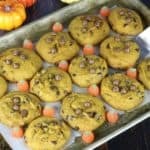 These are my favorite pumpkin cookies ever! 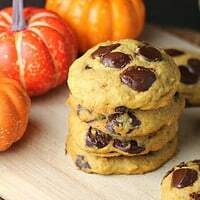 Although, you might like these Old Fashioned Pumpkin Chocolate Chip Cookies, Awesome Chocolate Chip Pumpkin Cookies, Rustic Pumpkin Trail Mix Cookies or these Ultimate Soft Pumpkin Cookies or these Eggless Soft Batch Pumpkin Chocolate Chip Cookies. 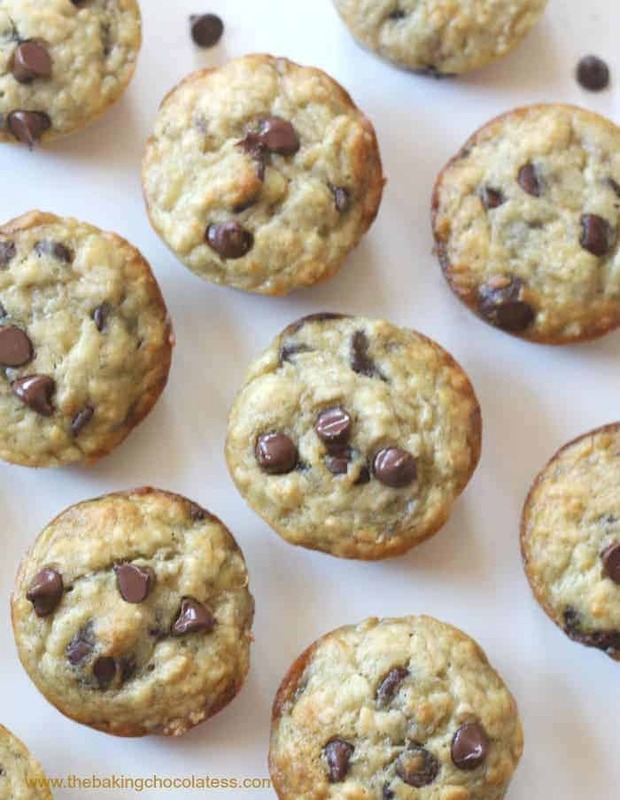 I’ll be dreaming about these tonight! Can’t wait to whip up another batch! 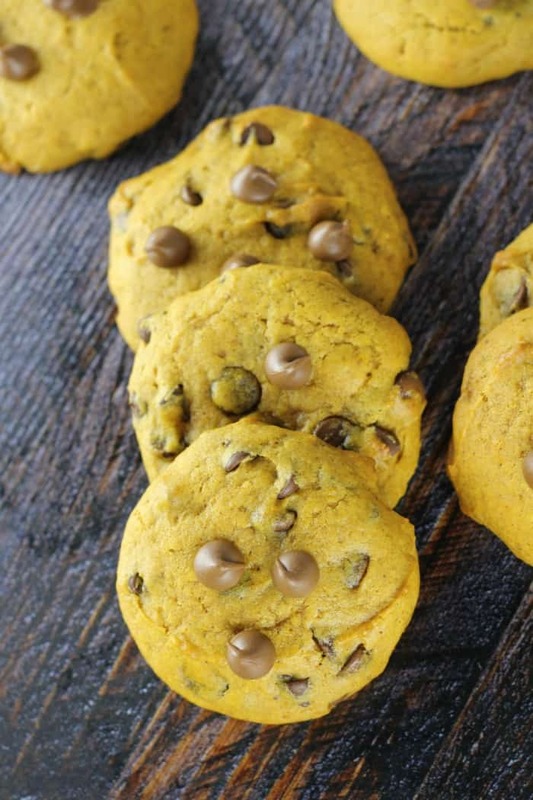 Everyone's been begging for these Super Soft Jumbo Pumpkin Chocolate Chip Cookies! It's no wonder!! 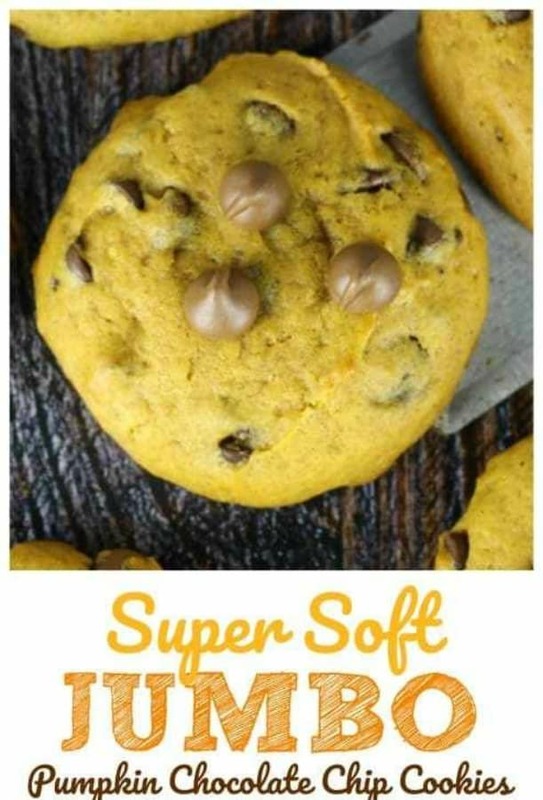 They are super soft, super delicious cake-like pumpkin chocolate chip cookies and they are super duper for every occasion! 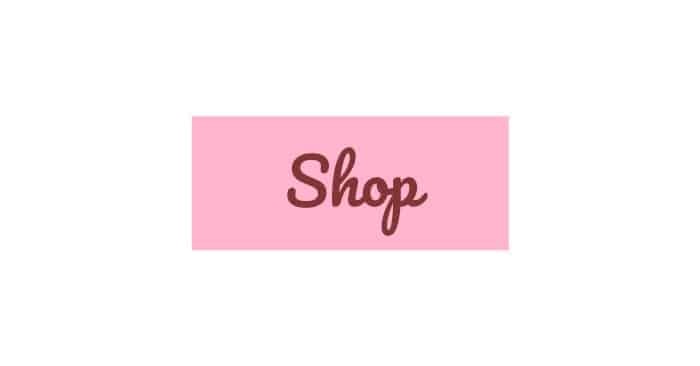 Preheat oven to 350 degrees F. Line 2 baking trays with non-stick mat or parchment paper. Using mixer, beat the sugars, oil, eggs, pumpkin and vanilla in large mixing bowl until well combined. Add in the baking soda, baking powder, cinnamon, pumpkin pie spice and salt and continue mixing until combined. Add the flour to the pumpkin mixture and mix until totally incorporated. Using a 1/4 cup ice cream scooper, scoop out 6 cookies per tray. 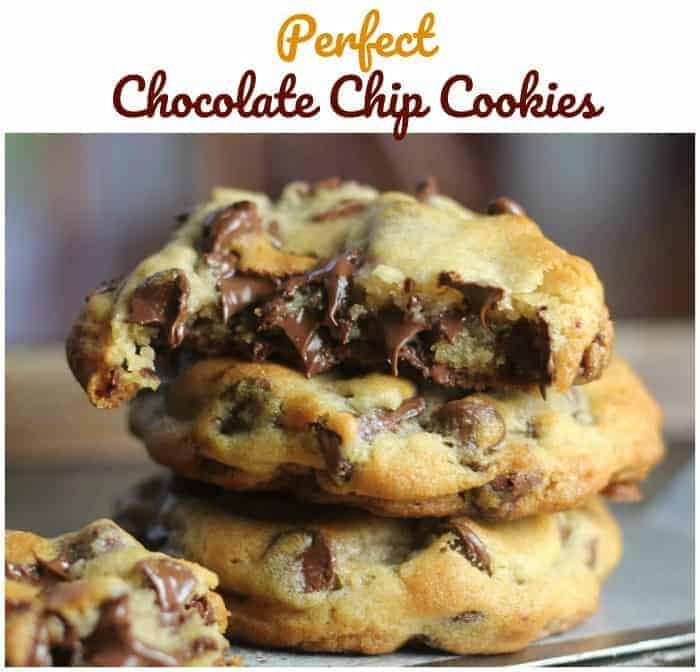 If you put baked cookies on parchment paper or tin foil, the cookies retain moisture, leaving them moister and yummier. 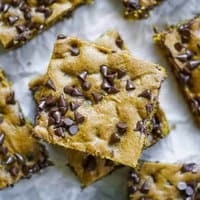 the bigger the cookie, the better (; i normally don’t use oil in cookies, so these sound like they’d be fun to test out! I know what you mean Heather, I like using butter the majority of the time! Go figure! hehehe. Thanks doll! Yay to soft jumbo cookies!! 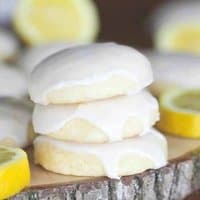 These look so fluffy and yummy! 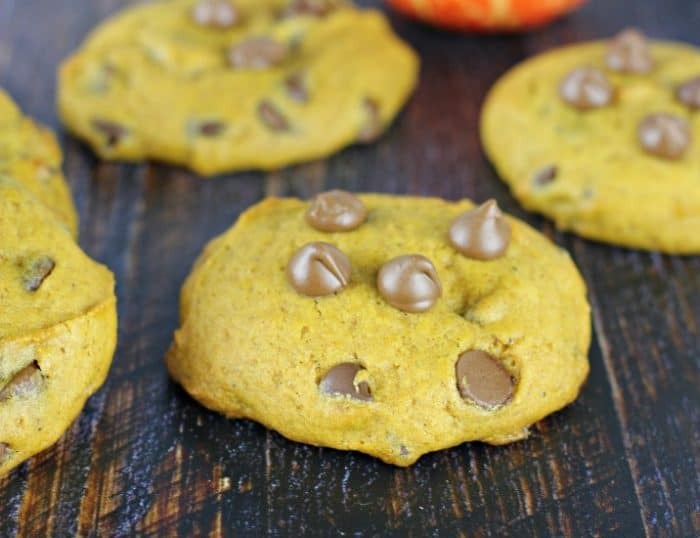 Lovely cookies to munch during fall! LOL yes Deepika! Soo good! Thank you dear!! Hope you have a wonderful week! Nothing better than a jumbo cookie!! Especially one that’s giant and fluffy like this!! Love, love!! Cookies are best when they’re jumbo. 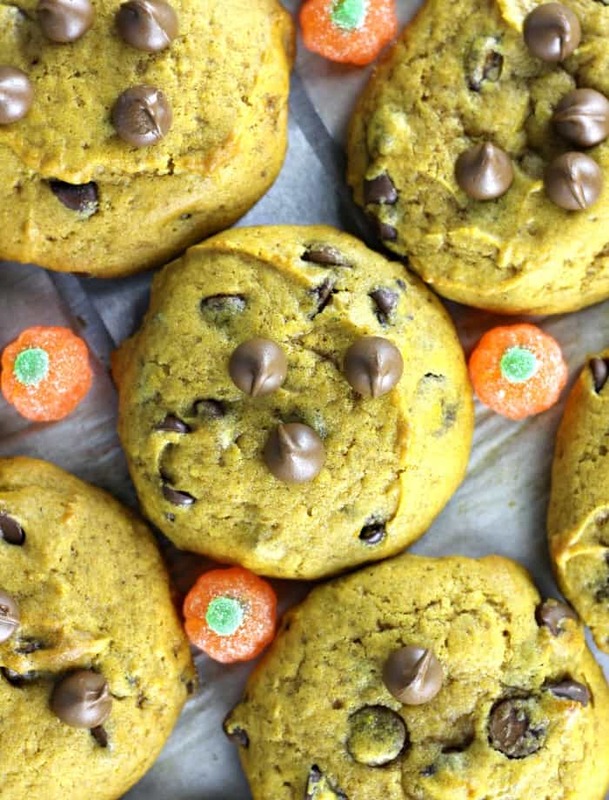 And when they’re packed with pumpkin and chocolate chips! These look awesome!